78% of Internet users conduct research before making purchases. We provide strategies to help you capitalize on this. We need to stop interrupting what people are interested in and be what people are interested in. This is what Chief Creative Officer of JWT, Craig Davis, said about the modern direction of marketing. Nothing embodies this philosophy more than inbound. With inbound marketing, sales, and service, a company can attract a user with valuable content. Convert that user into a lead by “gating” premium content. Build a profile on that lead with important qualifications. Close that lead into a customer with content that nurtures users through the marketing funnel. And then delight the heck out of that customer so he or she evangelizes on your behalf so you attract new customers. Even outbound marketers think outbound tactics are overcooked. Get the new lead generation recipes in the Inbound Marketing Cookbook. 30 or more landing pages on your website creates seven times more leads. We use measurable strategies to convert your website traffic. It’s marketing’s job to increase visitors and ultimately leads for your business. First you have to attract visitors and net new contacts, and then you have to nurture those visitors until they become leads and ultimately opportunities. At that point, a company will have a complete profile on a lead, which is now ready to speak to someone in sales about potentially making a purchase. Generating leads and ultimately customers should also be trackable and measurable. 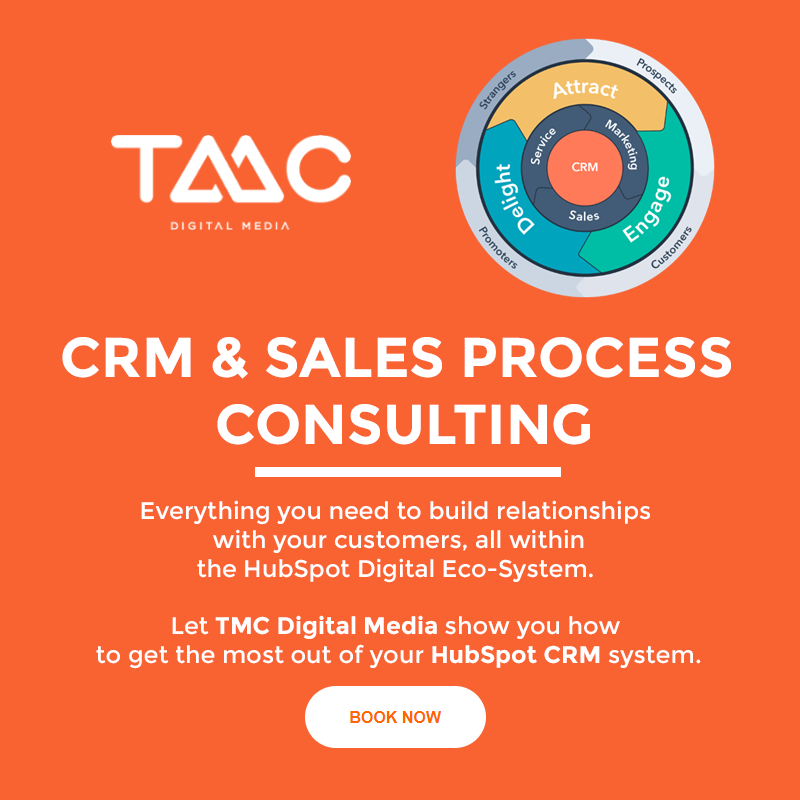 With the right processes and tools, we can help you determine your customer acquisition cost (CAC) in relation to your marketing spend, and then implement a strategy that will double down on the tactics that are successful. Read the 30 Greatest Lead Generation Tips, Tricks & Ideas. How does your sales team manage their pipeline today? How is your sales team organizing and growing that pipeline? There are so many ways to engage with your buyers today. From traditional sales methods like phone calls to today’s digital methods like social media, managing your connections should be simple in today’s complex sales world. Defining your sales process is key to future growth of your organization. Have several types of products you manufacture and sell? Then you probably have a few different sales processes. From end-users to dealers to reps to consultants, it’s important your sales team has the right tools to keep them organized, efficient, and empowered. Start empowering sales and your company today. 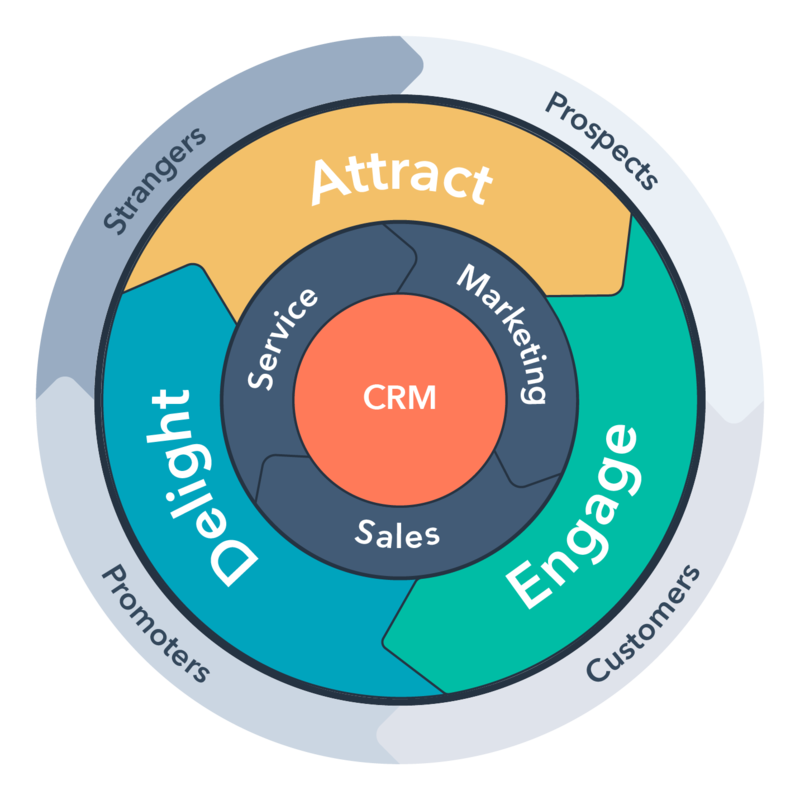 Learn how other manufacturers are using the HubSpot CRM to empower sales with our FREE webinar here. 95% of web users say a good user experience is common sense. We go beyond that. Our designs increase conversions and sales. Your website is the foundation for everything you do. Essentially, it’s your digital storefront that serves as a hub for just about all of your marketing efforts. It’s the centerpiece of your brand and identity. It’s an easy way for your potential and existing buyers to find out information on the products and services you provide. It’s the primary way they’ll contact you. When done correctly, your website should be an important lead generation tool for your business. We help our clients design and build modern sites that maximize the use of this digital space in order to attract visitors and nurture them into customers using a style and identity that is unique to your company and brand. Find out what you need for your website. Read the 25 Website Must-Haves e-book. 79% of companies report that content contributes to a positive marketing ROI. We create content strategies that drive this number higher. People are Googling “back bar refrigeration equipment” and “who makes the best chocolate” so they can find the information they need. Shouldn’t you be the one providing it? Or would you rather trust your competitors with that task? 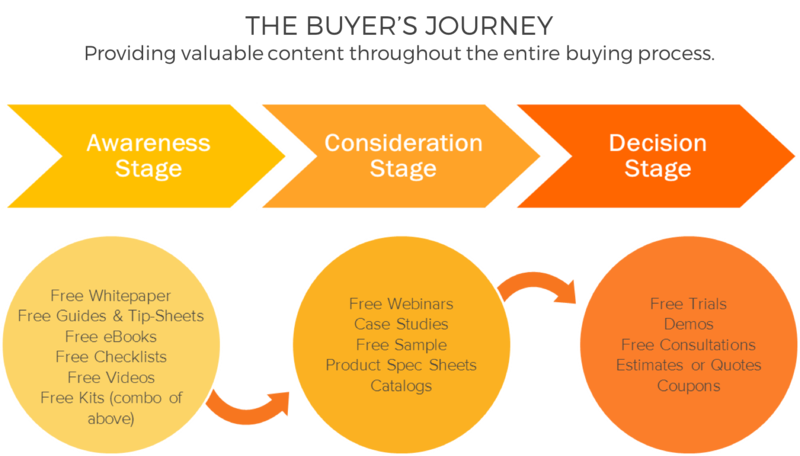 Developing the right content strategy begins with focusing on your buyer personas. Next, you create content for those buyers based on where they’re at in the buyer’s journey. Lastly, it takes good copywriting to call your target audience to action. That’s what our strategic content plans achieve. Learn more about content strategy at one of our Happy Hours. 78% of marketers are creating more content this year than last. There’s a reason for this, and we can show you why. Good content is the result of good methodology. With the right systems in place, your marketing communications should convey your brand, identity, features, and benefits. 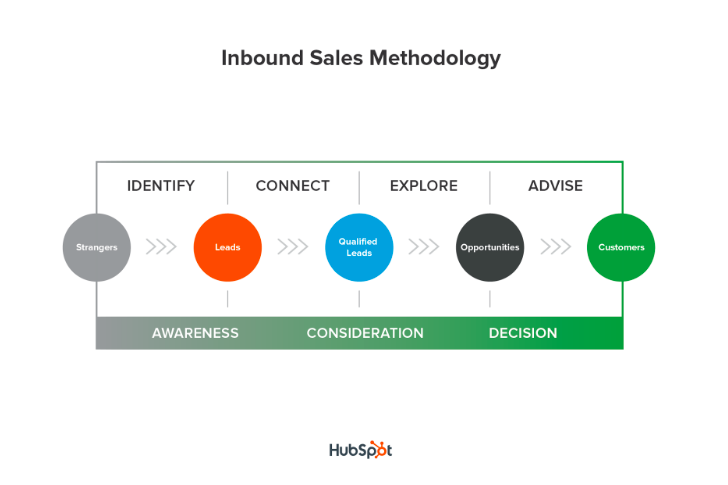 Even more important, it should help call your buyer personas to action and move them through the buyer’s journey. The benefits your content provides should be measurable. Our expertise is in creating content that doesn’t just sound good, but achieves your objectives in measurable ways that you can tie back to the marketing dollars you invest. We believe in content that counts. Literally. See some of the content we create for ourselves to get an idea of what we’d do for you. 64% cite shared values as the main reason they have relationships with a brand. We give advice for all phases of these relationships. A “brand” is another way of describing our relationship with a product or service. It’s not the jar of honey or the combi oven or even the services to market that oven. A brand is our perception of those things. You can’t touch them. You can’t smell them. You can’t taste them. Brands are larger than that. They’re like relationships. They require nurturing and will change over time. Marketers, then, are basically the matchmakers and therapists that facilitate those relationships. We help make the introductions, and then we keep things on track. We cultivate shared values between customers and products that elevate the brands we represent. Take the organic food movement, for example. As writer Michael Pollan says in “Omnivore’s Dilemma,” brands have complex aesthetic, emotional, and even political dimensions. When we buy chicken or arugula, we’re not just buying dinner. We’re buying narratives. Learn more about our branding and identity services. Start by telling us who you are today and where you want to be in the future. 69% of users would prefer to watch video to learn about a product or service. Video boosts marketing and sales results. The most powerful call-to-action button in digital media is the play button. That’s probably because almost 50 percent of our brains are involved in visual processing. It’s imperative to use video or animation as part of your content marketing strategies in today’s foodservice world. Cooking demos, product animations, kitchen tours, you name it. If content is king, video is the crown. Don’t believe us? Consider this: four times as many consumers would prefer to watch a video about a product than read about it, and by just adding a video to a landing page, you can increase your conversion rate by 86 percent. See a few examples of the video content we’ve created with our clients. Customers expect more than just a phone conversation about their support issue. They want self-service, and they want it quickly. For manufacturers and their distribution chain, the key to winning is not just about inbound engagement and selling products/solutions, but more about an end-to-end inbound experience. Customers expect their vendors and suppliers to help them when something breaks. And it will. Getting the customer service experience ‘right’ will only lead to repeat business, and will help turn customers into vocal advocates who refer their colleagues.